You may be worried about the emotional wellbeing of your baby, child or adolescent, or youself. You may have some idea of the cause of their difficulties but be unsure as to how to help them, or you may be puzzled as to what might be going on. You may have tried other approaches and feel that nothing seems to help. How does psychotherapy work? 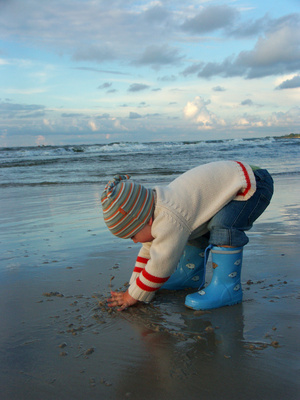 Child Psychotherapists aim to understand the meaning behind behaviour. We try to address the roots of a problem as a means of helping improve the symptoms. In practice, this involves listening carefully to your experience of parenting your child and then observing them in detail, with particular attention to the way that they communicate, play and relate to others. In the safety of the therapy room, troubling emotions can be expressed and thought about so that gradually they may be understood and put into words rather than acted out. This process may need either brief or longer term treatment, depending on the nature of your child’s difficulties. If your child begins individual psychotherapy, you will be kept informed of progress through regular review meetings. There may also be the opportunity for you to have some appointments in support of the psychotherapy, a chance for you to reflect further on the experience of parenting your child as they go through therapy. What kinds of problems are CPWM able to help with? We have experience of working with a broad spread of emotional and psychological difficulties that can arise during infancy, childhood and adolescence. These may be expressed in a variety of ways, but problems with sleeping, eating, toileting, learning and relating to others are all signs that something is wrong. Children may have difficulties in regulating their mood, seeming low and withdrawn or manic and over excited. They might try to hurt themselves or others, or have outbursts of temper that feel dangerous and overwhelming. They may seem over anxious or very distressed. Problems may be due to developmental difficulties such as Autistic Spectrum Disorder or Attention and Hyperactivity Disorder, and/ or may be linked to external events such as parental separation, illness, early trauma or loss. Times of transition or change can be particularly stressful, so problems can arise for babies following birth, during weaning or on mother’s return to work. Children may struggle with starting school, with changes in class or the arrival of younger siblings. Adolescence is a time of great internal and external upheaval, which can lead to a crisis as old ways of managing no longer seem to work. What would happen if I were to contact CPWM? Firstly one of our psychotherapists would speak with you on the telephone to hear a little about the situation and to consider if we may be able to help. If for any reason this is not possible, we would do our best to suggest other options. There is no charge for this initial contact. If appropriate, you would then be offered a therapeutic consultation; a face to face appointment so that we can learn more about your concerns. The aim of this consultation would be to establish whether you, your child or young person might benefit from psychoanalytic treatment. If this seems to be indicated and you too feel that you are interested to learn more, we would offer an assessment which may lead to either brief or longer term intervention. Usually a meeting would last fifty minutes, but sometimes for babies or younger children this might need to be shorter, forty or forty five minutes depending on what seems manageable.